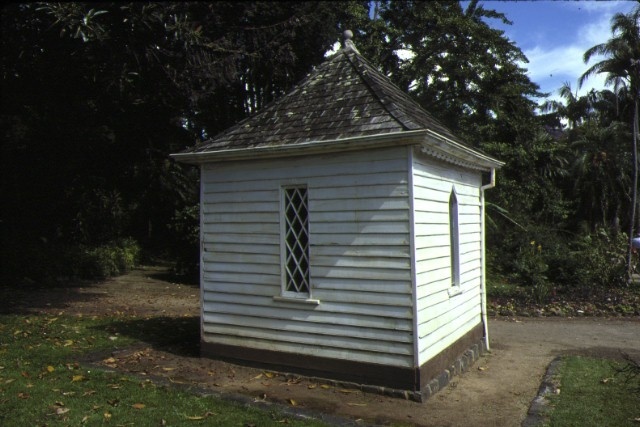 A square gothic timber pavilion reputedly prefabricated in Sydney c 1838 and erected in Geelong. Cladding is quirk bead weatherboards. 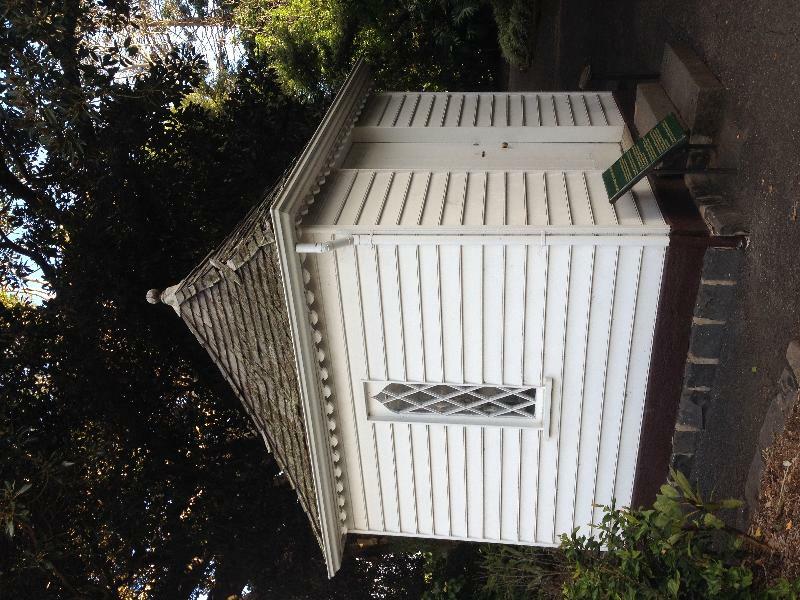 The original thatch roof was replaced with shingles in 1854. 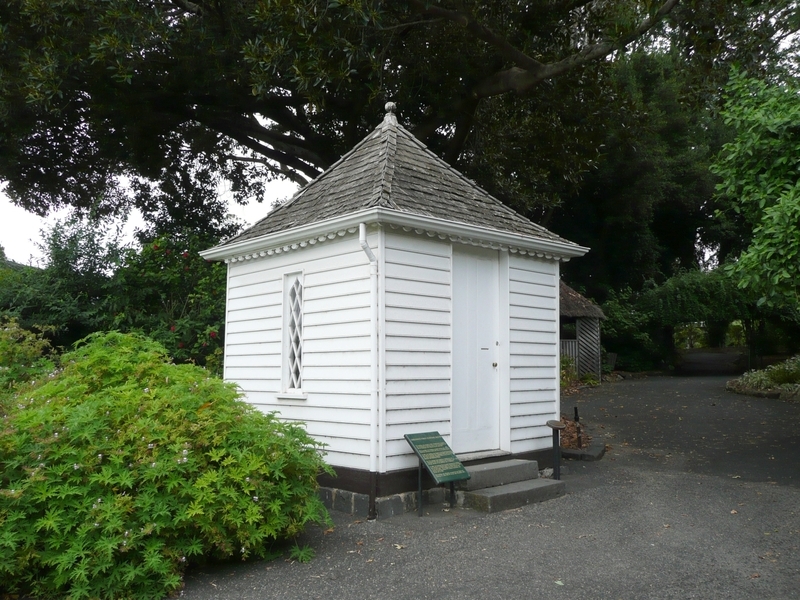 When a permanent stone customs housewas built in 1845 the building was used briefly as a telegraph office.Unaltered and well preserved, claimed to be the oldest building extant inVictoria, it now serves as a customs museum. 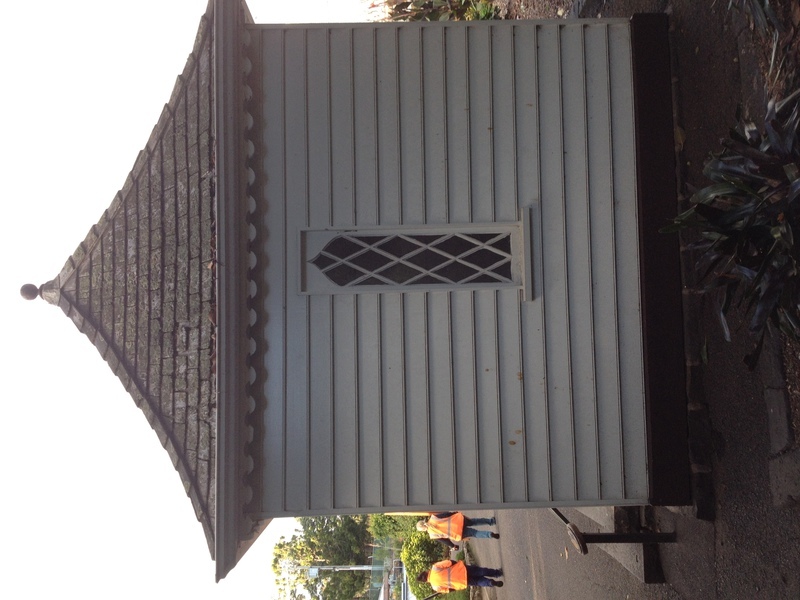 Important as one of Victoria's oldest remaining buildings, believed to have been pre-fabricated in Sydney, and despite minor defacements retaining acertain charm by virtue of its pavilion design with concave roof profile andone remaining ogee-topped window. City of Geelong. No. 185. 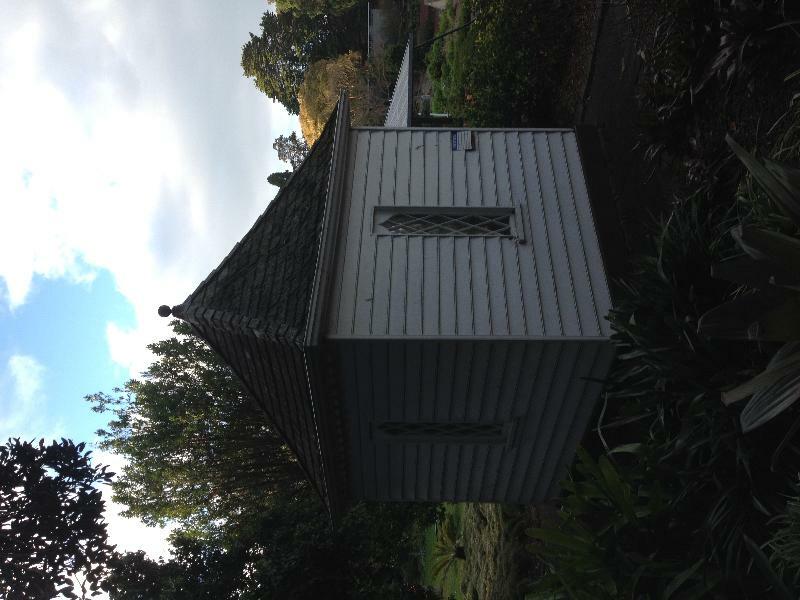 First Customs House, Botanical Gardens Eastern Park, Geelong.